Of all the developments taking shape in Waukee these days—and there are plenty of them—the Kettlestone Development is set to be one of the most prominent. Projected to be a mixed-use neighborhood, encompassing everything from shopping and entertainment to residences and office space, the area is anticipated to be a cornerstone neighborhood in Waukee. When complete, it will cover more than 1,500 acres. 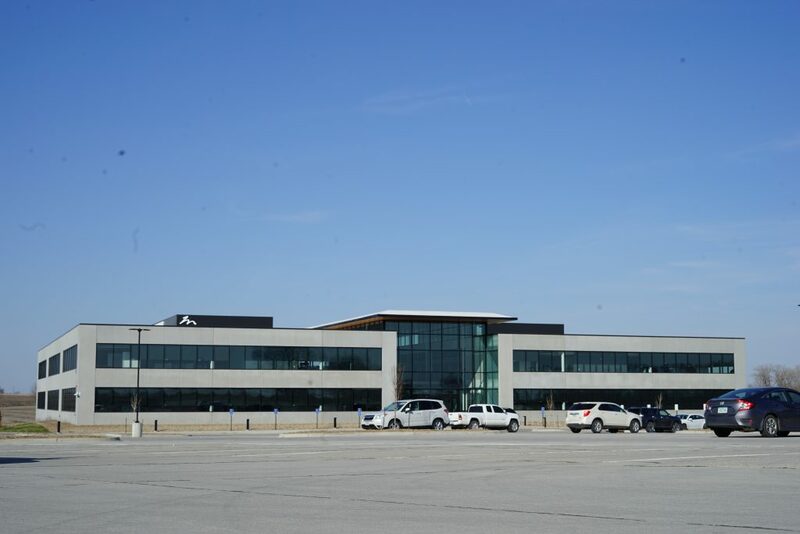 One of the area’s first residents is already in place, as insurance broker Holmes Murphy, formerly in West Des Moines, relocated its headquarters to Kettlestone in January of this year. The company’s new 93,740-square foot building is, unsurprisingly, larger than its previous space and is specifically designed to not only fit the company culture, but to provide a more collaborative space for all employees, according to Radda. The open-concept space features lots of windows, providing natural light, and there is plenty of green space surrounding the building to give employees the opportunity to get “fresh air and fresh perspective,” she said. Each team member has a dedicated work space to make their own. There are also numerous collaboration stations throughout the building—each marked with a specific color of carpet—where team members can gather to plan, educate and celebrate. The hub of the building is “7Central,” a space to gather which represents Holmes Murphy’s seven aspirations: Celebrate, Count on Me, Courageous Influence, Health Matters, Leave Good Footprints, Share Abundantly, and Unity Over Uniformity.